Peppermint Fudge Cake from here. Yumm... I made it for my mom's birthday last Saturday and it was delicious. It took a while to make though between waiting for the ganache to set up and waiting for the White Chocolate Peppermint Mousse to set up. Waiting for the cake to bake? Eh, not so bad. I did make the three layers though and one of them stuck to the pan and broke so I couldn't use it. I ended up cutting my two remaining layers into two layers so I ended up with four layers :). Then I filled it with the White Chocolate Peppermint Mousse deliciousness. It was definitely worth making but it's a project. I had the extra layer of cake along with some ganache left so I decided to make Cake Balls. I crumbled up the cake into a bowl and mixed in maybe 1/2 cup of warm ganache then put it in the refrigerator to set up. I took it out, rolled it into balls and dipped it in semi-sweet chocolate. This is an excellent use of extra cake and ganache in my opinion. They are so addictive I'm glad I don't have that many. It was a quick dipping job because I'm not taking these anywhere so they don't have to be pretty. Pistachio and Orange anyone? I never knew I loved it until I tried it. As I'm sure you're guessing I love chocolate. For Valentine's Day that's all I wanted. Please...So my husband brought me home a beautiful box of chocolates from a local chocolatier. Local chocolatiers are my favorite. This one is Gearhart's Fine Chocolates. The piece I am in love with is Pistachio Chocolate Orange described on their website as "Semi-sweet chocolate ganache mixed with pistachio toffee, dipped in dark chocolate and topped with candied orange peel." Mmm...pieces of toffee on the inside. I don't like hazelnuts and when my husband asked they were kind enough to take a pre-made box and switch out a hazelnut piece with an extra one of these. Good thing there were two so that my husband was able to try one as well. I shared most of my chocolates with him because he loves chocolate also. They have so many lovely pieces such as Michigan Cherry, Maple Pecan, Tequila Lime. The Tequila Lime is a close second to the Pistachio and Orange though. So, if you're ever roaming around Charlottesville, VA and need a chocolate you should stop in. Chocolate Chip cookies are one of my favorite cookies and always have been. I've been trying to eat healthier and follow the Weight Watchers plan as much as I can. Yes I do know I'm writing a blog about desserts. Occasionally maybe I'll post a healthier dessert, or maybe just a not as bad for you dessert. Last night I felt the need for a chocolate chip cookie as I used to make them almost weekly and now I haven't had one in two or three months. I decided to try to make it not as bad for me used a recipe from Splenda for Choco-Chip Cookies. I made the little balls about a tablespoon as the recipe called for but still ended up with 30 cookies when I had already cut the recipe in half. So, by my calculations they ended up being only about 1.25 points a piece. Not bad...even if it is a smaller cookie. I thought about sitting something next to the cookies as I hastily took the picture this morning but then it quickly flew out of my mind. See the thing is I was packaging up the rest of the ones I had baked (I had some in the freezer : ) ) and taking them to my parents house. Granted I still have maybe 12 in the freezer but I'm ok with that. : ). Now the problem is that I like them better frozen, as I've always loved frozen or refrigerated cookie dough for that matter. I don't think I'll bake anymore of them this round. I'll just eat them one by one or two by two until they're gone. That is why I wanted to get a quick picture. They ended up being about 2" in diameter but fluffier than I'd hoped. I like a chewy cookie and this was definitely a fluffy cookie. Although, it did have a hint of a crunch around the edges and that helped so it wasn't too fluffy and cloud-like. I don't think this will be my standby but it was good enough for a treat. "It's the bubbles of nothing that make it really something"
The Aero Chocolate Bar was one of my favorite things for a long time. It's creamy on the outside and has bubbles on the inside that are a bit crunchy. I first discovered them at a former job I used to have in a candy department. I don't remember how many hundreds of bars we had there but it was a bit overwhelming when you first encountered the "Candy Bar Wall". I first tried these in Milk Chocolate through and through and it was lovely with the bubbly sensation in your mouth. I have also tried the mint (shown above). These originated in the United Kingdom but are sold all over the world. Specialty stores and some grocery stores with good international sections carry them. They also make Caramel, Dark Chocolate, White Chocolate, Latte, Crispy, Orange, and apparently Strawberry for a while as well as Vanilla Milkshake and Vanilla Yogurt as more of a limited addition I assume. I would have loved to have tried the orange or latte but I have never seen them. I don't consider these to be the best chocolate by far and I am a self proclaimed chocolate snob most of the time. Just the same, I love the texture and flavor that these bars deliver and whenever I see them I pick one up and enjoy. So if you're ever in a store and you see one maybe you should give it a whirl also. I have found a cake that will make an appearance at special events throughout the year because it's just that good. I made this cake for my son's first birthday party. I figured carrots are good for him : ). The cake I'm talking about is a Carrot-Orange Cake with Cream Cheese Frosting. If you're ever feeling like you need a treat and you should always eat your vegetables then I would lean in the way of this. It's moist and delicious as well as a crowd pleaser. I'm sad I only took pictures of the outside of the cake (Curious George) and of my son eating the cake but no pictures of just a piece of cake. Either way, this is a short post but worth writing about. Every Thursday I talk about something I love whether it's a place, product, or recipe. Today the object of my affection is a 70% dark chocolate candy bar. It's made by Green & Black and their products are all organic.They make chocolate bars, hot cocoa, baking cocoa, and ice cream. I've always wanted to try their ice cream and have no good reason that I haven't. I tried the 70% chocolate bar and was so hooked that I'm embarrassed to say I haven't tried anything else by them. I always unwrap it like they do in Charlie and the Chocolate Factory, so very careful. But when you bite into it the flavors are so wonderful and smooth. There's hints of fruit as the creamy chocolate melts slowly. This unlike other chocolate will in fact melt in your hand and in your mouth :). It definitely should be eaten in moderation due to the decadence of it. 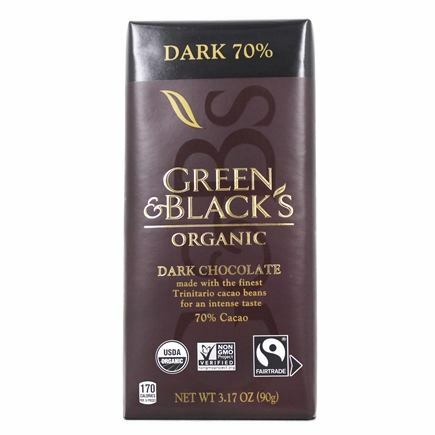 So for anyone who loves an amazing chocolate bar, I recommend the 70% dark chocolate Green & Black bar. I'm always searching for the perfect lemon dessert, aren't you? I could also be looking for the perfect chocolate or caramel dessert as well. But for the moment I've found the fabulous Frozen Lemon Meringue Pie. I was looking for a dessert for my husband's 31st birthday and he loves pie. By loves pie I think it ranks up there with his love for me. 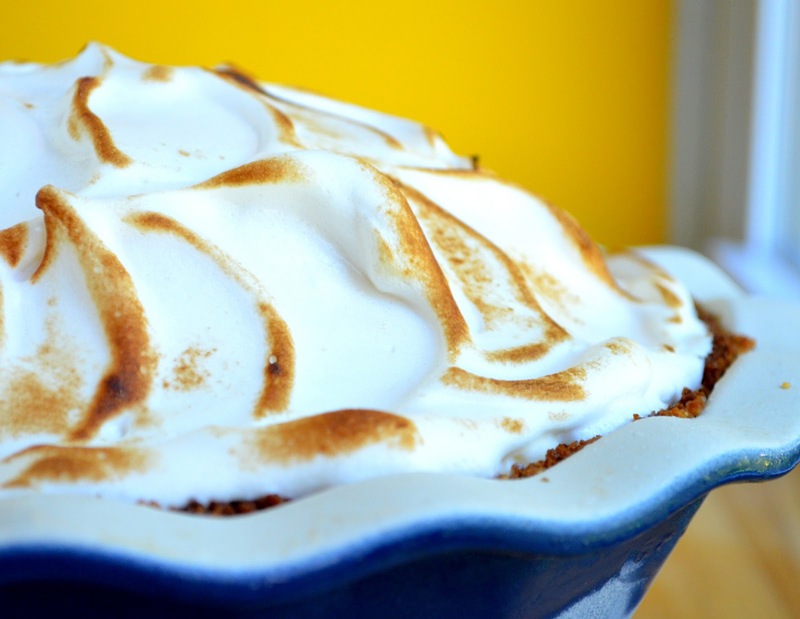 : ) Lemon Meringue Pie is his favorite and so I was looking for something similar but different. You can top it with what ever flavor of ice cream you like (although it does call for vanilla). Then I was able to exercise my Lemon Curd making skills.